Chito put his life in danger due to the sheer size of the beast. 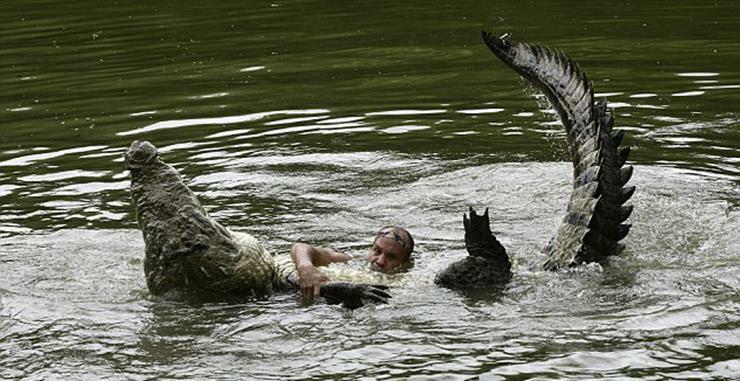 American Crocodiles can weight up to 850 lbs and grow up to 16 ft long. This animal has a ferocious bite and is best left alone if you know what’s good for you.